Gradiant takes part second year in a row in the RSA Conference, one of the most important series of conferences on ICT security in the world, aimed at the transfer of knowledge among the community of professionals in the sector. The event is taking place at the Moscone Center in San Francisco (USA) from March 4th to 8th and there is showcasing new approaches to information security and discover the latest technological solutions in cybersecurity. In this international event that every year brings together more than 50,000 attendees, Gradiant has its own space (booth 2139 Moscone Center San Francisco) to showcase new technology solutions based on Artificial Intelligence to detect fraud and manipulation of ID documents and images. 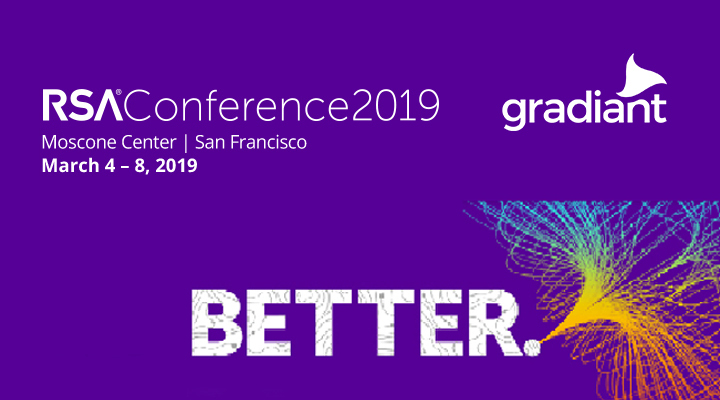 As Juan González, Privacy and Security Director of Gradiant, explains “In the last few years, Gradiant has been committed to security as the core of its strategy for ICT technological development, providing secure solutions such as we are showcasing this year in San Francisco. Attending the RSA Conference for a second year demonstrates our strong commitment to innovation in cybersecurity and fraud prevention”.